Old Bahama Bay is located on the West End of Grand Bahama Island, which is about a forty-five minutes car ride from Freeport. 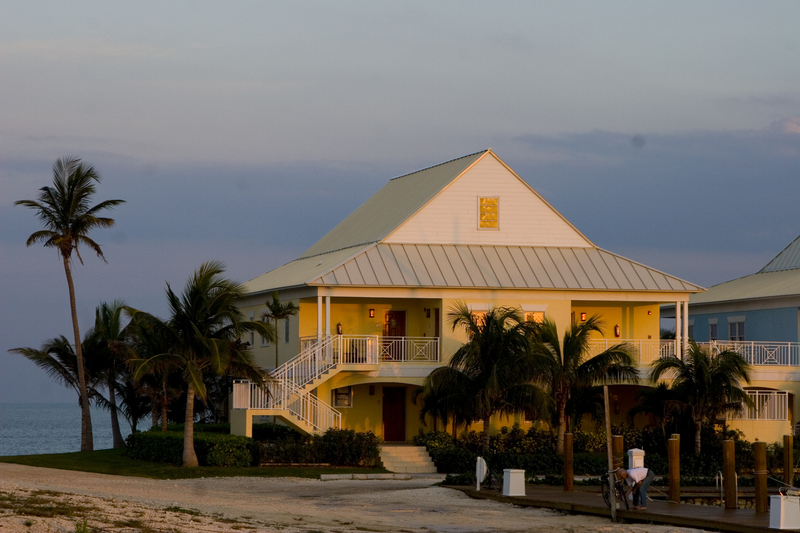 It’s the kind of place famous movie stars stay when they’re vacationing on Grand Bahama. If you’re staying at Old Bahama Bay, they can arrange for you to be picked up at the airport or cruise dock. You can also reach the resort by rental car, taxi or local bus. Incredible Adventures will be happy to provide the name and number of a private driver on the island, upon request. The Old Bahama Bay Resort / Ginn Sur Mer is all about luxury. Incredible Adventures’ dive adventures depart from the hotel’s marina, so you can wake up, enjoy your view of the ocean, and be on board the shark dive boat in a matter of minutes. Rooms rate vary but are typically from $245.00 -$372.00(U.S. Dollars) per person per night. Ocean, island and pool views, kitchenette with coffeemaker and refrigerator, hair dryer, iron/ironing board, a service charge for Internet service, alarm clock, is all included in each of the rooms. A 60-ft high tower, 10 person spa tub, Casino at the Lucaya and a 25,000 square foot Senses Spa and Fitness Center. Average room rates are from about $149.00-$215.00(U.S. Dollars) per night. Pelican Bay features island style architecture and ‘Caribbean flavor’ decor. The uniquely styled rooms and outstanding hospitality will insure your stay in the Bahamas is memorable. The Lucayan Marketplace, with an abundant amount of restaurants, bars, shops and nightly live entertainment, is located just steps from the resort. The average rate per night per person(U.S. Dollars) is $160.00(without breakfast included)-190.00(with breakfast). This all inclusive hotel has the ‘no worries’ policy. So what does all inclusive mean? It means breakfast, lunch, dinner, and snacks, plus unlimited cocktails, a variety of drinks and wines. Activities are also available, such as non-motorized sports, gym with an instructor, pool and beach games (with prizes! ), Carribbean dance lessons, and even a kids’ retreat! Tips and taxes are added in as well and various other inclusive items. Rooms are available starting at $158.00(U.S Dollars).